Ethiopie / Suisse, 2013, Fiction, 1h30 min, couleur, en anglais & amharique sous-titré. Soccer-industry mogul Franz travels to Addis Ababa on a promotional tour, hoping to save his damaged reputation. Admassu is a 12-year old street kid, hoping to get the chance to show off his fancy footwork to the big boss himself. But when Franz brushes him aside, Admassu talks a rag-tag group of thugs into « kidnapping » the Swiss head honcho, while secretly planning to serve as his liberator-effectively forcing him to open the doors to the big leagues. But not everything goes according to plan in this charming crowd-pleaser, and the odd couple end up lost in the Ethiopian wilderness, fighting to make it back to Addis Ababa. A joyous film for the whole family. 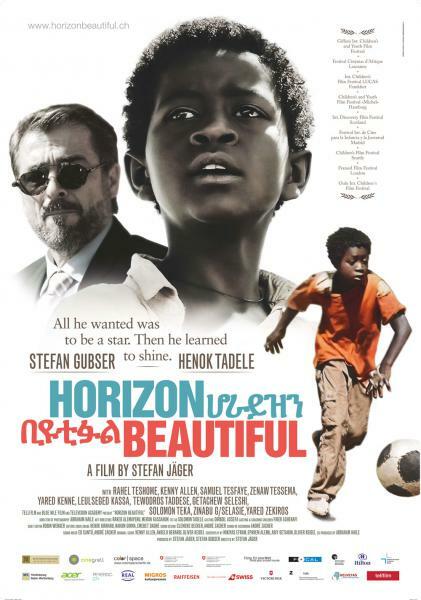 Original Version: Amharic/English (german/english subtitles), colour, DCP, 90 min. Der umstrittene Schweizer Fussball-Magnat Franz Arnold kommt in die äthiopische Hauptstadt Addis Abeba. In einer Kampagne will er seinen Sport als Inspiration für Hoffnung verkaufen. Für den 12-jährigen Strassenjungen Admassu ist das ein Wink des Schicksals. Er scheint seinem Traum, Fussballer in Europa zu werden, so nahe wie nie zuvor. Als die Kontaktaufnahme scheitert, entschliesst sich der Junge kurzerhand, den Fussball-Boss entführen zu lassen, um ihn anschliessend retten zu können. Doch die Aktion läuft aus dem Ruder.